We have been invited by the Windy City BMW club to attend their March Membership meeting held at the NEW showroom of Bill Jacobs BMW. Wrapup: Twenty some MINIs braved the early morning and cold weather to caravan down Sheridan Road and Lake Shore drive to the Auto Show. 40 club members were able to gain early admission to the show to get an up close and personal time to check out the MINI exhibit before the crowds. Huge thanks again to MINIUSA for all the work to secure this special deal for our club, and to Knauz MINI for helping us out with the tickets!!! E-mail links of photos to steve@chicagominiclub.com and I will add them here. 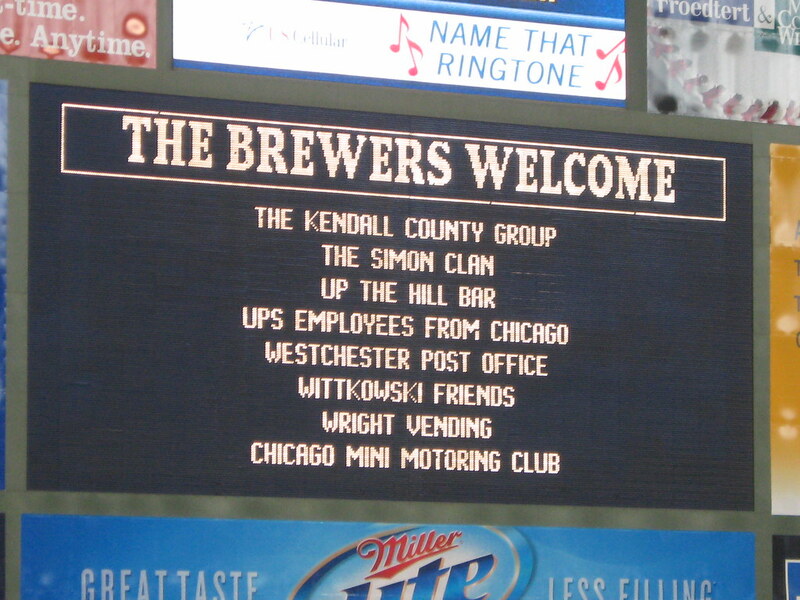 The Milwaukee MINIS and Chicago MINI Motoring Club are planning a Brewers vs. Cubs game outing. It will be a night game on Saturday, September 11th. There are only 75 tickets, between the two clubs and they will sell out fast!! To get your tickets, send in your Order Form [Click Here] and payment ASAP. Theresa from the Milwaukee MINIs purchased the tickets on her personal credit card, and had to pay upfront. If you don’t buy your tickets by April 1st, and if there are any tickets ramaining, the price will go up. So buy your tickets, and buy them now!